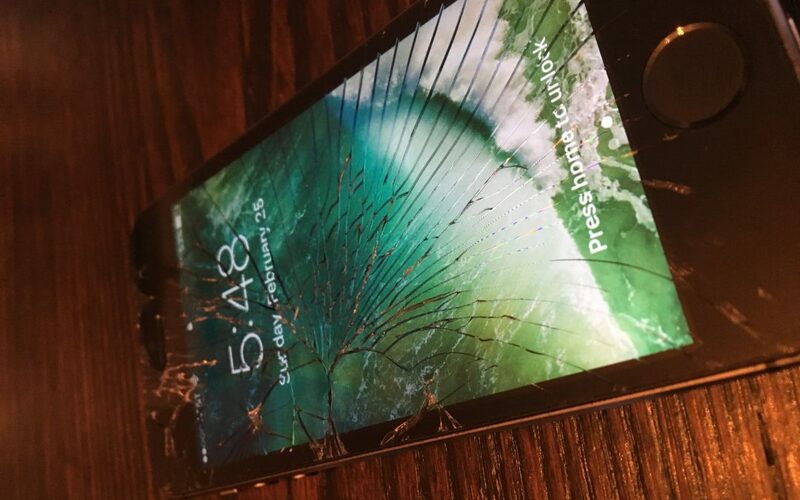 John was looking for a repair service to fix his cracked iPhone 8 screen. He had done this several times before. This time, however, he was on traveling on business in the Royal Oak area. 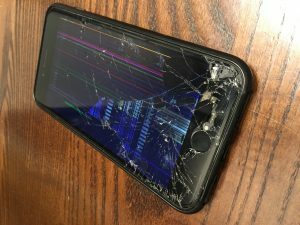 He needed his cracked iPhone 8 fixed fast. 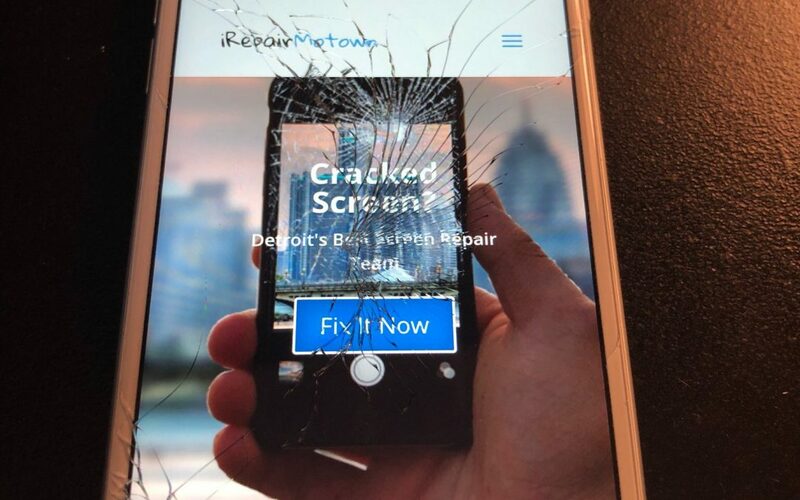 After searching online for a short while, he stumbled upon iRepairMotown – a Royal Oak Cracked iPhone Screen Repair service that works wonders for people in Southeast Michigan. He rang us up and scheduled an appointment. 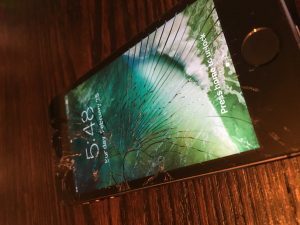 We met John at a local coffee shop just off of Woodward Ave. His iPhone 8 was in bad shape. 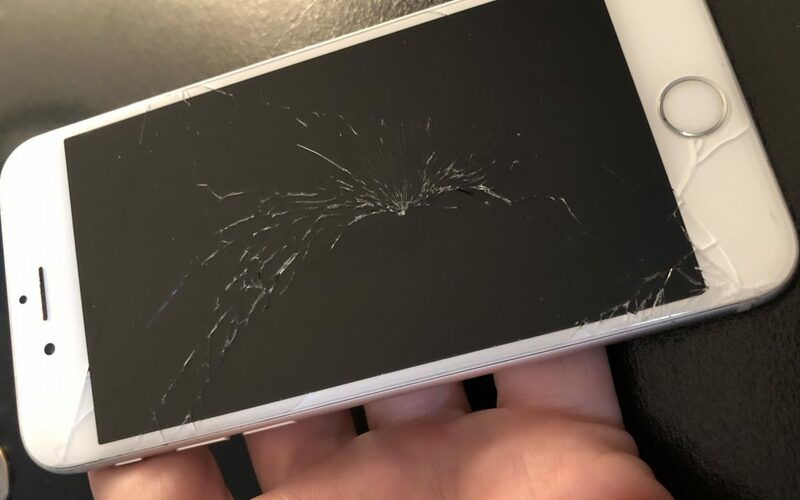 Apparently he had been walking around with a cracked screen for quick some time. 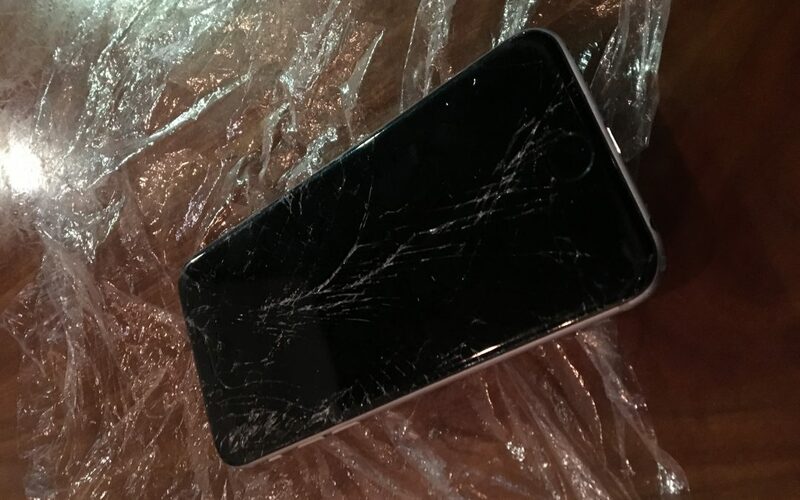 This morning though, dropping his iPhone 8 on the concrete really set it over the edge. The result you can see in the picture. There were colored lines all over the place. Not to mentioned the cracked glass that was starting to slice his fingers. He was delighted by the convenience of our service. 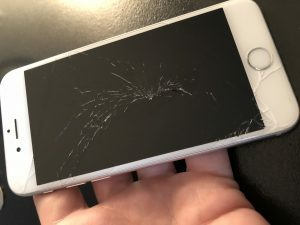 We come to our customers and repair their broken screens right in front of them. Usually repairs take about 30 minutes – enough time to enjoy a cup of coffee. John sat right in front of us as we went to work replacing his cracked iPhone 8 screen. In roughly 25 minutes, we had replaced the cracked glass screen on John’s iPhone and had it looking like new again. He could go about his day and get back to work. Having his screen repaired numerous times before, he expressed what an amazing service we provide. 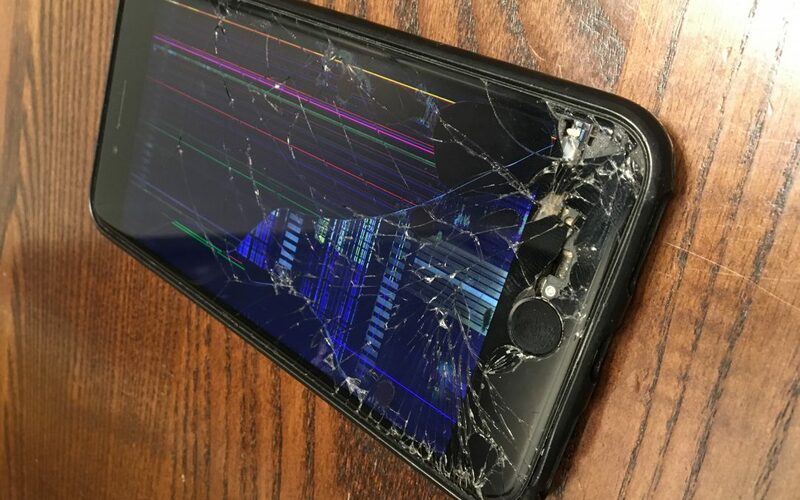 It was the smoothest repair service he has experience in the 4 cracked screen experiences he’s previously had. So happy we could get John’s iPhone 8 fixed and get him back on his way. Thanks for the kind words John!